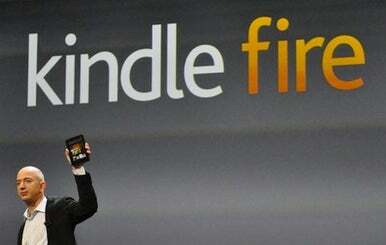 Amazon Developing Full Size Kindle Fire Tablet? It looks like Amazon is working on two new flavors of its wildly popular Kindle Fire. DigiTimes is reporting that the company is already hard at work developing both 8.9-inch and 10.1-inch versions of the Fire. According to the report, the 8.9 inch iteration could be available as soon as the end of second quarter of 2012. The report cites supply chain makers for Amazon, who say that the 8.9 inch Kindle Fire will sport displays developed by both Samsung and LG, who are currently promoting their 8.9 inch display panels. But why not launch the 8.9 inch version first? To avoid competition with countless other ten inch tablets. The report indicates that Amazon will still launch the 10.1 inch Fire in late 2012, putting the device in direct competition with the iPad 2 and Samsung Galaxy Tab. So who is behind the rumored Kindle Fire? Amazon has reportedly tapped Foxconn to become a second manufacturer for the 7 inch Fire, taking some of the load off of Quanta Computer. 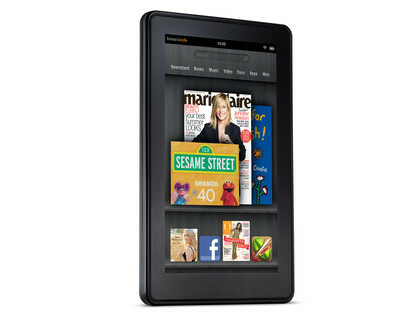 Speculation about a larger version of the Kindle Fire has been running rampant for some time now. This latest report only adds to the mounting rumors.